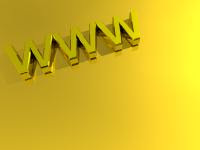 Now this is the time to track your site's traffic data. When you will sign in to google.com/analytics you will see a window like shown below, click on View Report to go to dashboard at where you can see all types of data whatever you required. Next window you will see that will be dashboard. Now I will try to familiar with Google Analytics Platform. The GA Platform looks like this: (Click on images to view full images with accurate resolution). A web analytics dashboard provides all of your critical metrics in one place to help you understand the health or performance of your business. 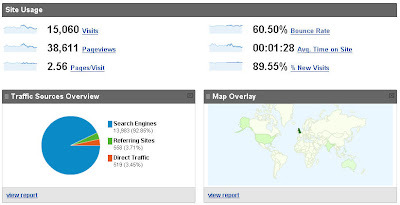 I think now you will got an overview of GA Dashboard and you will become familiar some the basic navigational link and buttons to view and generate site tracking report. There are many web analytics packages are available in the market but many of them are expensive. Google Analytics is free for all and easy to use. Web analytics package also known as Log Analyser. Some of the best log analyzers are Web trends, NetTracker and Urchin. Google Web analytics is based on Urchin log analyzers that can track user behavior, browser types, referrers, keywords, page errors, and many other aspects of the Web site. Here you will find the different types of web analytic report samples that can help you to generate, prepare and maintain all types of web analytics, traffic reports, visitor stats , visitor sources, keyword and many other analytical by using Google Analytics.